Kevron Consulting Limited (KCL) is a Quality, Health, Safety, Security Environmental (QHSSE) consultancy and Training Company offering services to clients anywhere in the world covering: Environmental and Sustainability Management, Project Safety Management, Strategic Safety Management, Asset Safety Management, Research and Publication, Manpower Recruitment, QHSSE Documentation, Procurement, Floor Markings and Signage, Security Services and QHSSE Training. Our QHSSE division is led by a Chartered Safety and Health Practitioner (CMIOSH) and we assist clients in developing, managing and delivering QHSSE services across multiple sectors. We assist organisations in setting strategies and build culture that promote effective operations and maintain a safe and healthy environment. We recognise that safe and effective working depends on creating and implementing the right policies and processes and demonstrating the right behaviours - at every level. In addition, active and visible leadership, implementation, assurance and training must be driven right across the business. We know that achieving this is difficult and that is why our approach to health, safety and wellbeing focuses not just on compliance and the safety of all, but also considers the greater return on investment and the right outcome such as reducing loss and damage to assets; lower workforce absence through sickness, accidents and incidents; reducing the risk of fines and prosecution; increasing staff morale through better working practices and a higher quality environment; and better risk management across your business supply chains. We can help you plan for and manage your physical and operational QHSSE risks across your projects lifecycle and across the entire network of your business entities and assets – while also enhancing efficiencies and reducing costs. Our aim is to be the QHSSE provider of your choice. We are the only Nigerian company with Affiliates status to Proftech Leading Institute to deliver the Level 6 International Diploma in Safety Engineering (IDSE) which is certified by IOSH for Graduate Membership-GradIOSH. We are also approved to deliver the ICOSH level 3 Certification Certified by NCFE UK and Accredited by IOSH for Associate / TechIOSH Membership. Our IOSH approved experience and professional staff provide practical and effective support throughout the duration of your course at KCL and after completion. We also provide guidance, support and mentorship for GradIOSH as they enrol for your IPD and work towards becoming a Chartered Safety and Health Practitioner (CMIOSH). Our global partners and affiliates are known for excellence and quality service delivery and that is why at Kevron Consulting Limited we share the same values and our business partners and clients trust us to always deliver to quality, on time and at competitive rates that create satisfaction. Current and emerging business realities place increasing demands on organisations for the practice of sound environmental management vis-à-vis sustainable growth and development. The pace and dimensions of environmental change are now greater than at any other period in human history. Climate and land-use change, population growth, and urbanization are putting people, infrastructure, and environments at risk and are affecting critical resources such as water, food, and energy. 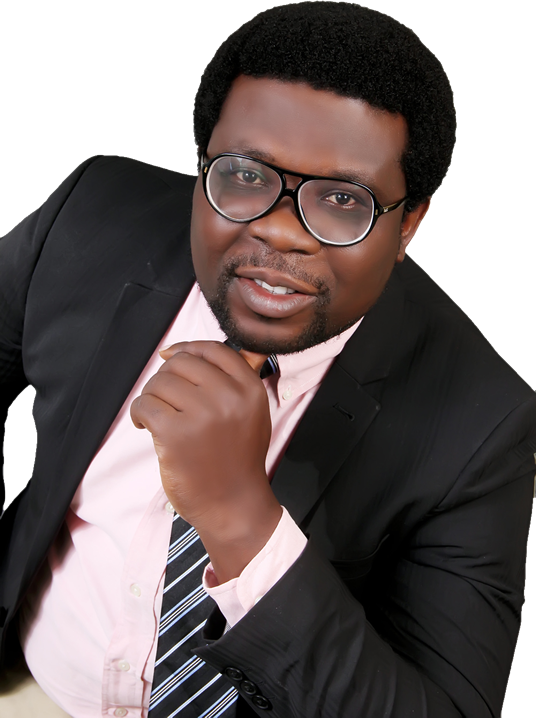 Kayode Fowode is a Chartered Health and Safety Practitioner, a Fellow of Nigerian Institution of Safety Engineers and a COREN Registered Mechanical Engineer. He is presently the National Coordinator of IOSH Nigeria Informal Network Group and Non-Executive Director at Promaq Contractors. He has extensive knowledge and experience in process safety, construction QHSSE management, training, research and project management. Kayode holds a Bachelor degree in Mechanical Engineering from Federal University of Technology, Owerri, Nigeria and Masters of Science in Occupational Safety and Health from Middlesex University, London. Kayode has strong consultancy experience across different industries including Oil and Gas, Construction, FMCG, Manufacturing and Telecommunication Industry and prior to his current role at Kevron Consulting Limited, he was a CDM Coordinator and HSE Consultant at Turner & Townsend Plc, UK and Project Manager at Jagal Group / Nigerdock, Group HSE Advisor at Gulf FZE, HSE Consultant for Vascroft Contractors UK, BMW-UK, Southern Water, HSBC-UK as well as other technical & non-technical roles in Operations and major projects across Africa and Europe. Getting a scholarship has always been my dream, this buoyed my diligence in studying hard and being the best at what I do. The result was Kevron Consulting Limited Scholarship coming along and making the dream a reality. I am most grateful for being selected as one of the recipients of the 2017/2018 Kevron Consulting Limited Scholarship. My Training at KCL was topnotch, the instructors are vast in knowledge, well spoken, full of clarity and experience. Indeed the training was worthwhile. CASHES Supervisor at Eternal Oil Plc. Support is offered at all stage of your course at KCL so that you can begin to prepare for penetrating the job market or progressing in your existing role at your place of work. We have details of all the latest job vacancies and work experience opportunities. There are sessions on CV writing, job hunting and preparing for interviews. Our Training Consultants’ work in collaboration with our clients and/or students to ascertain their real Health, Safety and Environment (HSE) training and development needs and provide bespoke HSE training programmes that seamlessly fit individual needs and /or organisation’s requirements and culture. Our Training Consultants work with our students to make sure the courses they take with us lead to great things. We are committed to providing you with the required information, guidance and support for all aspects of your course, offering both personal and practical solutions to help you through your time of study at KCL. At KCL, we make every effort to provide help and support to our students, and also help them develop essential employability skills. Our courses are designed to ensure that you are well- equipped to excel in a competitive job market, with a variety of internationally recognized accredited courses supported with practical session to enhance your employability skills and build an impressive CV.